Whether your services are in direct hire, contract placement, temporary staffing or executive search, ROW is for you. 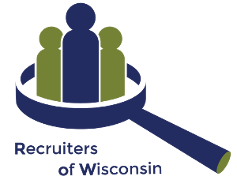 The Recruiters of Wisconsin association is dedicated to providing its members with the most effective tools needed to get ahead in a competitive industry. It offers access to a world of opportunity by providing an array of valuable benefits, services, and rewards available only to ROW members. Sign up to receive all the benefits of being a ROW Member Firm.